The Company provides a Mail Order Service into any area within the UK, this Service is open to any Customer for any of our Products or Services. Larger items via UK Pallet - Next Day or Two Day Service. The Company also provides a Business to Business European Mail Order Service to any country within the European Union. Delivery Cycles 1 to 7 Days Depending on Weight and Service Used? 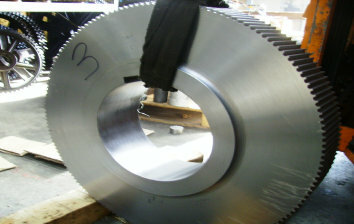 4 - HTD 162-14m-115 Timing Pulleys for Egypt. 38- Chain Drive Units complete with Motorised Gearboxes for India. ASA200-1-18 tooth with QD bush & Flame Harden teeth for UK Board Plant. Ist Delivery of 38 Roller Chain Drive Units complete with Motorised Gearboxes out of a total contract of 190 units for Kazakhstan.